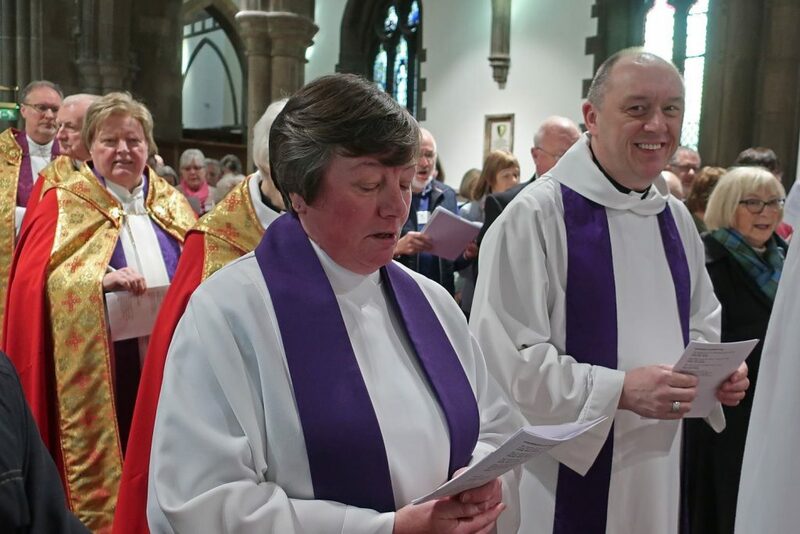 This year our Diocesan Synod was held on Saturday 9th March in St Ninian’s Cathedral and the proceedings started with the usual Eucharist however this year it was a bit more special. 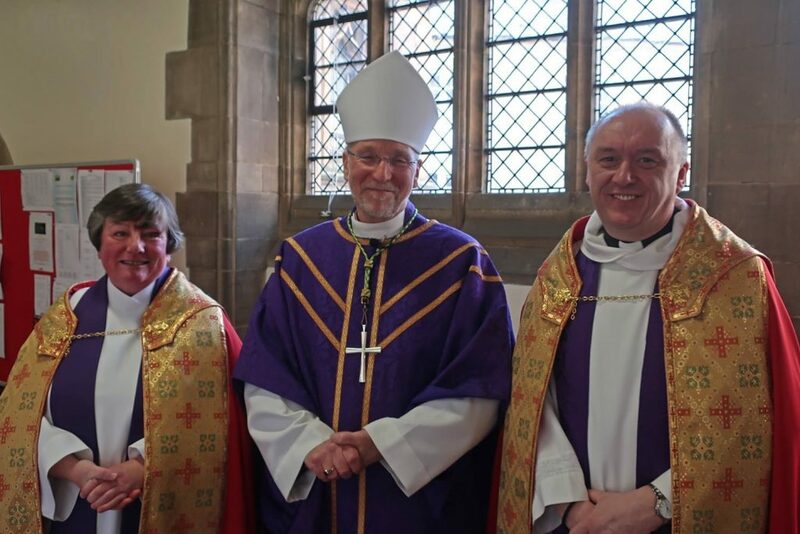 Firstly because Bishop Ian was presiding for the first time and also Revd Graham Taylor and Revd Christine Fraser were installed as Canons. It was an uplifting service and the congregation included their families and their friends from both their congregations. At the conclusion of the service Synod was declared open and business got underway. A new addition to the agenda this year was a report from the Dean!! Kenny, now well known to all of us, described his position for those not too familiar with the term as being similar to an Archdeacon in the CofE but with the added responsibility of a charge; thus having a foot in both camps, that of diocesan administration and the care of a congregation. Within the routine business of Synod, quota will remain set at last year’s rate; the availability of Provincial building grants would continue; it was agreed that the Overseas committee should now be called the Diocesan Global Partnerships committee and this committee identified new links to be fostered, namely Diocese of Barakpore in India, Diocese of Amazonia in Brazil, Diocese of Niagara in Canada and finally the Solomon Islands; +Ian said he would like to set up a communications committee and is looking for a volunteer; the Provost spoke about the restoration work that has been carried out on the Cathedral; the importance was emphasised of PVG work and that it really applied to how we treated everybody, not just the vulnerable. +Ian remarked on how encouraging it was that within the Diocese all four Area councils were active. Following lunch, in the Bishop’s Charge, Bishop Ian started by saying “God will lead us nearer to Him and closer to His Kingdom as we travel together”. He said that worship should be the best it can be as it is the first response to God’s love therefore it belongs to all of us and that we as a church should “face outwards”. Mission should not be an extra bolt-on, it is God’s project not a church project. The SEC is looking at Lay Ministry and possible training for those involved. The Bishop is hoping to have a Diocesan festival relating to Lay Ministry. The Lambeth Conference is to be held in 2020 and Bishop Ian is hoping to welcome four visiting Bishops to our Diocese – hopefully those from the dioceses with which we may be fostering links. 2021 is designated the Year of Pilgrimage and there is the possibility of a Diocesan Pilgrimage to the Holy Land. Bishop Ian also said that Brexit is a cause of dissension and anxiety and he urged every church to be ready to be a visible place of Hope. Other business in the afternoon included a decision to approve a motion relating to the creation of Honorary Lay Canonries of St Ninian’s Cathedral. Next year’s Diocesan Synod will be held on Saturday 7th March 2020. General Synod of the whole of the Scottish Episcopal Church will take place in Edinburgh on the 6th-8th June 2019.